It is that time of year again! Time to take a long look at your current health and wellness habits and consider what changes you can make so that the next year is even better than the last. Just about everyone creates New Year’s resolutions. Many people focus on things like losing weight or improving their finances, but there is a lot more to wellness than a number on the scale. This year, let go of the repeated focus on your diet and weight loss efforts and think instead about the things you can do to improve your skin care routine. Optimal wellness starts at the surface. If you want to be healthy, taking the time to ensure that you look healthy is a great first step to take. There are plenty of ways that you can improve your skin care routine in the coming year. 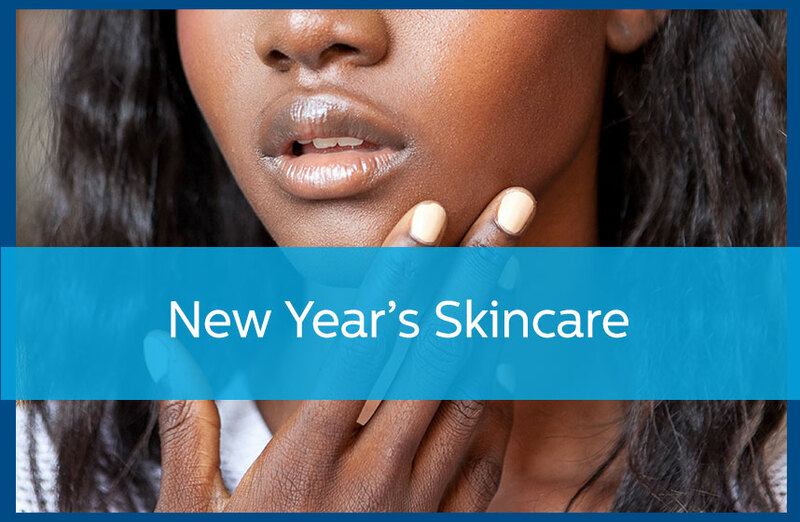 Adjusting a few daily habits, investing in your skin care a bit more, and paying closer attention to the impact that external factors may be having on your skin are all great ways to improve your skin care for the New Year. Pledge to drink more water. One of the leading causes of dry skin is dehydration. It makes sense—if your body is lacking water, then your skin isn’t going to stay hydrated. Download a helpful phone app to start tracking how many glasses of water you drink throughout the day. Start a real routine every morning. Every morning and night, you should have a real routine that will help your skin to feel and look great. Your morning should start with a combination of moisturizer and SPF. Even if you aren’t planning on basking in the sun all day, putting a bit of SPF on your skin is a good idea to protect it from the sun as you drive or walk from point A to point B. Take care of your skin at night. How well are you really washing that make-up off your face? What about the grime from the rest of your day? You shower your body, but are you actually washing your face as thoroughly? Many people find upon reflection that their face is neglected in their self-care routine. Try using a facial cleanser every night before going to sleep to ensure that your face is clean and clear for the morning. The New Year is a great time to make a new goal for your health and wellness routine. For help getting started, contact your dermatologist and set up a skin care consultation. Schedule a consultation with Avail Dermatology today by calling 770-251-5111.